Winter has well and truly arrived. I woke up this morning and saw how frosty it was and ran outside to take the picture above before the sun melted it away. While I'll admit I miss the summer sun, I do love winter and everything that comes along with it. 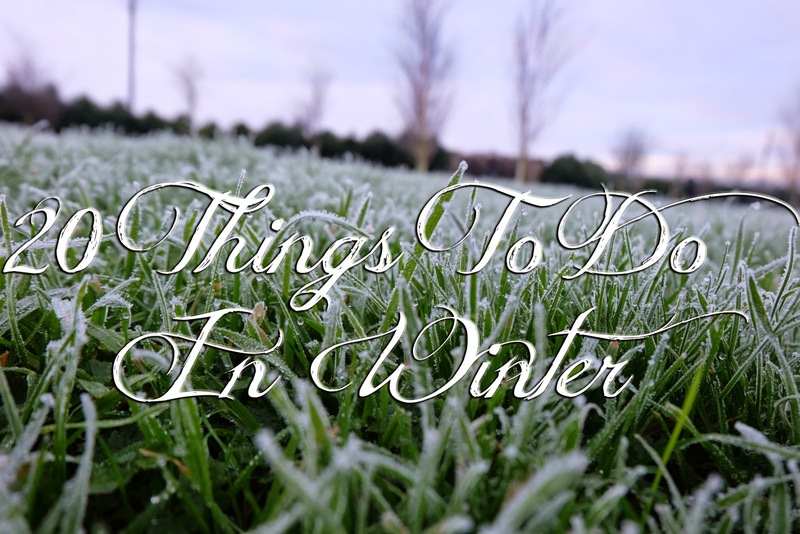 I thought I'd share some of my 'must do' things during winter, hope you enjoy! 1. Winter walks, just remember to wrap up warm! about shopping if it's for other people. 3. Putting up the Christmas decorations, especially the tree! 4. Over indulge in Costa's Christmas range, they're all far too yummy. 5. Watch all the old classic Christmas films with the family. 6. Go ice-skating, don't worry everyone else looks like baby giraffes too! 7. Sing your heart out to "All I Want For Christmas" daily. 8. Visit your local Christmas market. 9. Bake yummy Christmas treats, this is one of my favourite things to do! 10. Start planning your NYE outfit. 11. Catching up on much needed sleep, everyone gets lazy during the Christmas holidays. 12. Eat all the Christmas biscuits, in my house there are always at least 5 tins on the go! 13. Buy this years tacky but adorable Christmas jumper. 14. Make your loved ones DIY Christmas presents, sometimes these are the most loved ones. 15. Think of others who aren't as blessed as you are, lots of people will spend Christmas on the streets, they're always grateful for a coffee and a sandwich! 16. Have a Lush Christmas bath, I love their Christmas offerings. 17. Drive around and look at the houses that went all out with their Christmas lights. 18. Start thinking about your resolutions for next year, and try to stick to them this time! 19. Take lots of pictures, winter is a field day for the perfect Instagram snap, whether it's a cosy fire picture or a frosty one like mine. 20. And finally, enjoy the time with your loved ones and make the most of it! What do you love to do during winter? Let me know in the comments!